PM: 'Water cannon available' Jump to media player Prime Minister, David Cameron has said water cannon will be available to the police to deal with rioting. He also said baton rounds were already authorised for use by police. 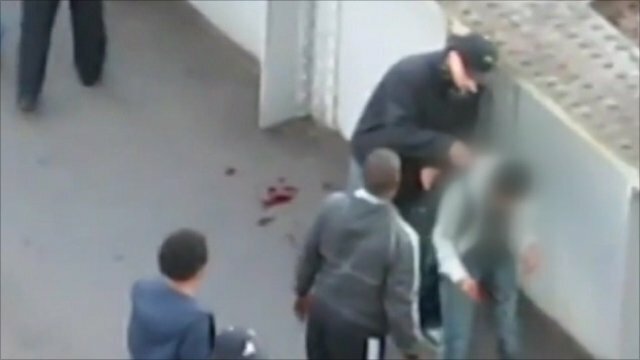 Injured man mugged during riots Jump to media player A group of youths help an injured man to his feet and then steal the contents of his bag during disturbances in London on Monday. 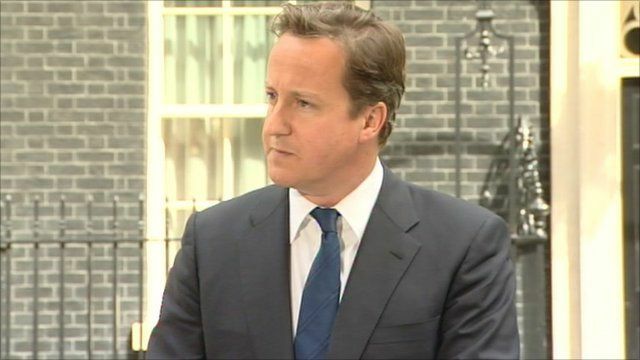 Prime Minister David Cameron has said water cannon will be available to the police to deal with rioting, if needed. He also said baton rounds were already authorised for use by police. Mr Cameron was speaking following a meeting of the government's emergency committee, Cobra, which had been assessing a fourth night of rioting in cities across England. The worst trouble was in Manchester and Salford, where more than 100 arrests were made. Mr Cameron said every option was being considered and whatever resources the police need they would get.